Synopsis: The Winter 1980 edition of The Comics Journal is chock full of articles, editorials and interviews that give you the inside scoop on what was happening in the world of comics in late 1979/early 1980. One of the top stories of this issue was DC's decision to raise comic prices to 50 cents from 40 cents, a move that would soon be followed by Marvel. 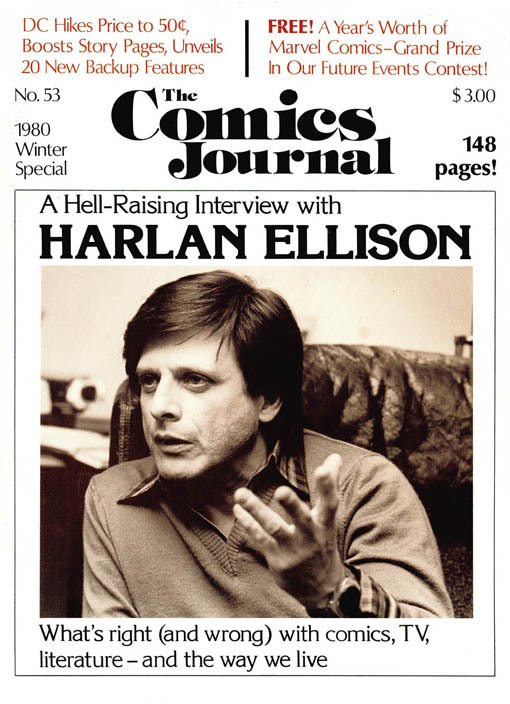 The Harlan Ellison feature is also appropriately billed as "Hell-Raising" as he takes pot shots at just about everybody and everything imaginable in an exhaustingly long interview. Full issues are available to subscribers in the publisher's archives on TCJ.com.